Santa Claus is coming to town which can only mean one thing: COOKIES!!! 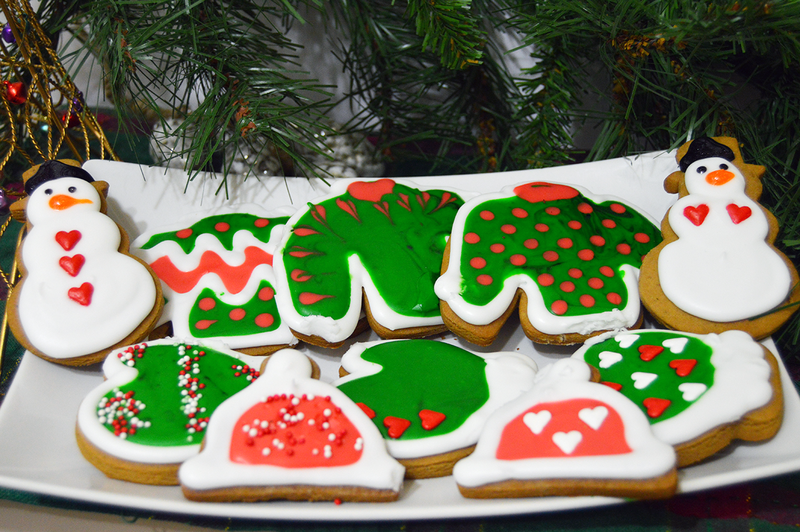 And not just any cookies - gingerbread cookies. 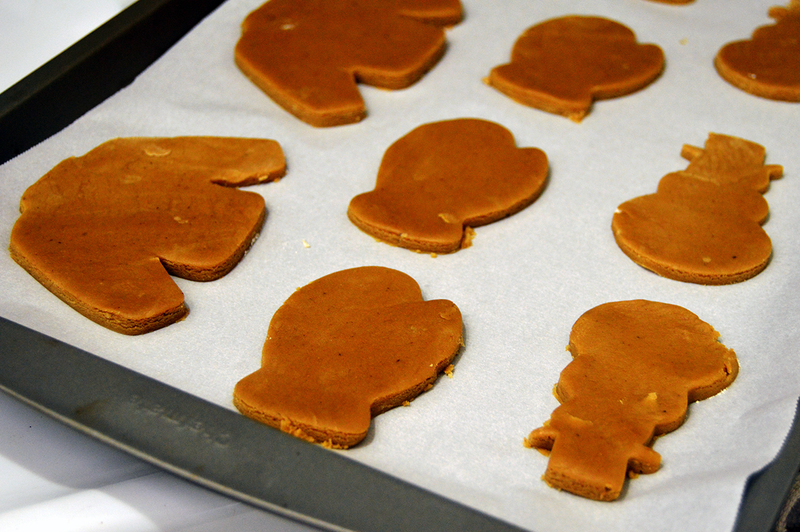 One of the very first foods I can recall baking with my family is gingerbread cookies. As the story goes, one of the very first batches we ever made we gave to my grandparents - but the cookies were so hard they were inedible, so my grandpa ended up drilling holes in the top of a few of them to hang on the Christmas tree. Thankfully, I didn't inherit my cooking skills from my parents. I have many fond memories of Christmases with my fam and this year will be no different! 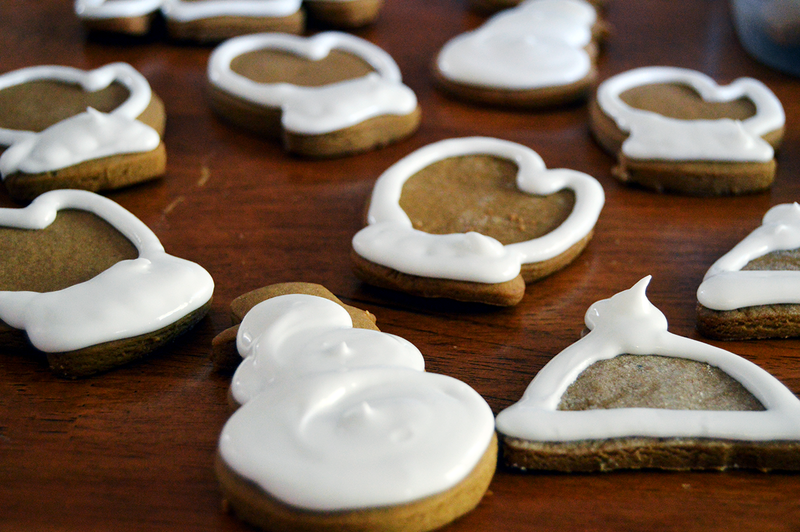 There are two different ways you can make gingerbread cookies - the more traditional route is to use molasses, but I know some people prefer using honey instead because it makes for a lighter, sweeter cookie. And then most people don't know what do to with the leftover molasses, so it goes to waste (though I'd definitely suggest molasses for the cookies, then use the rest of the molasses to make a BBQ sauce!). 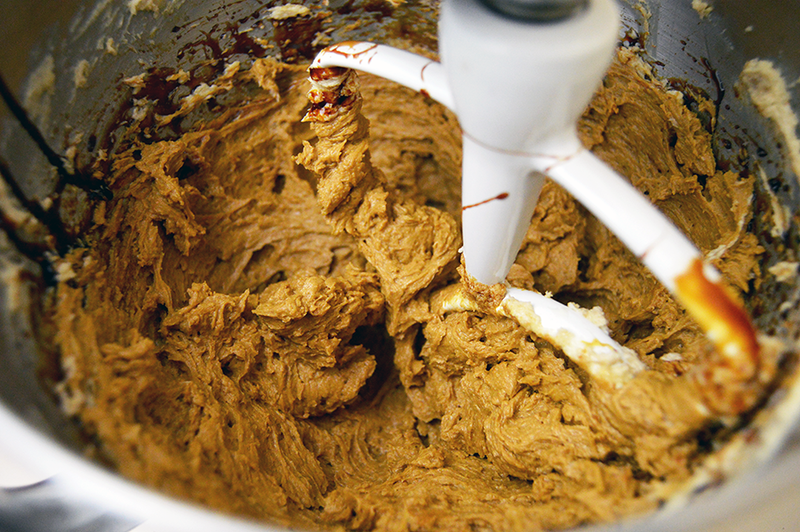 Begin by creaming together the butter, eggs, sugars, molasses, ginger and spices. Slowly add the flour, baking soda, and salt until a thick dough forms. If the dough is too sticky, add more flour. It shouldn't stick to your fingers when you touch it but it should definitely still be soft. Knead the dough into a ball, then flatten it with your palms on a floured surface. 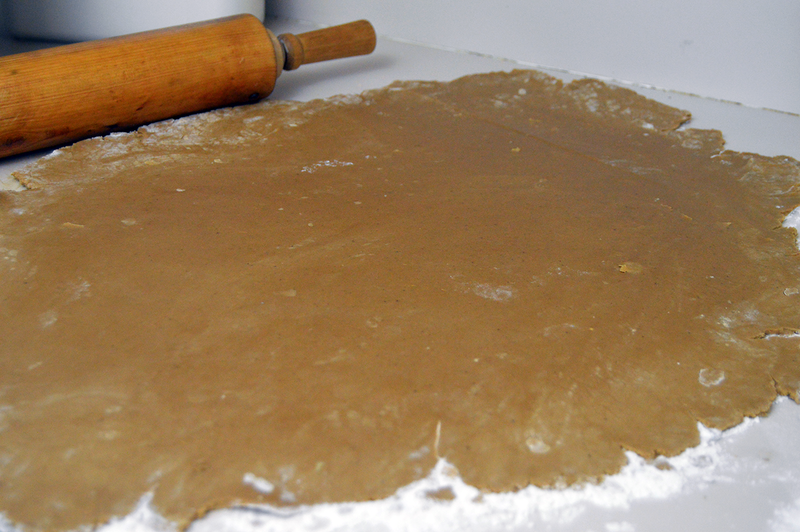 Use a rolling pin to roll the gingerbread dough out to be about a quarter to a half inch thick. The thicker the dough, the softer the cookies will be. Since I wanted to make a fluffy icing, I intentionally rolled mine closer to a quarter of an inch for a crisper cookie. Last year I ordered a set of Christmas sweater cookie cutters, which then proceeded to take much longer than I anticipated to arrive. I missed getting the chance to use them last year, so I made extra sure I had them ready to go this year. Cut out the cookies and use a spatula to transfer the cookies from the cutting surface to a parchment lined baking sheet. 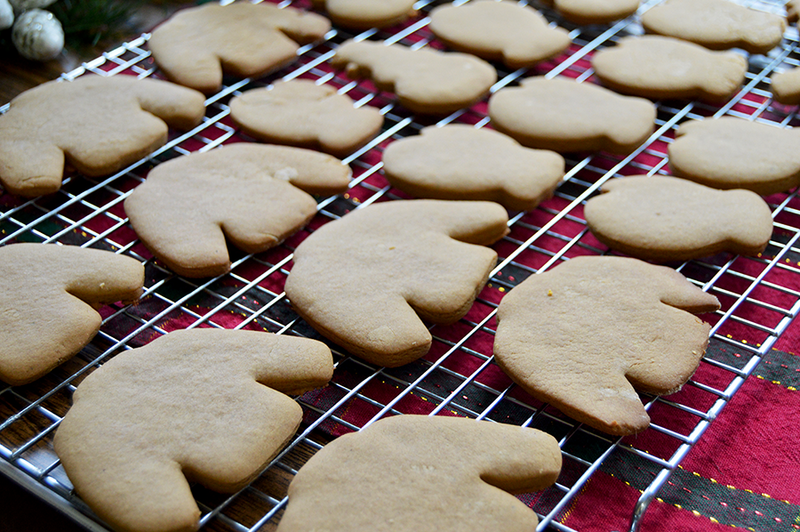 Leave about a half inch pace between the cookies so they can expand. Once the cookies are finished cooking, remove them from the baking sheet and arrange on a cooling rack to cool completely. You don't want the cookies to be warm at all when you decorate them, otherwise you'll be in for a huge mess of delicious runny icing. Make the icing by beating together the powdered sugar, egg whites, and milk. 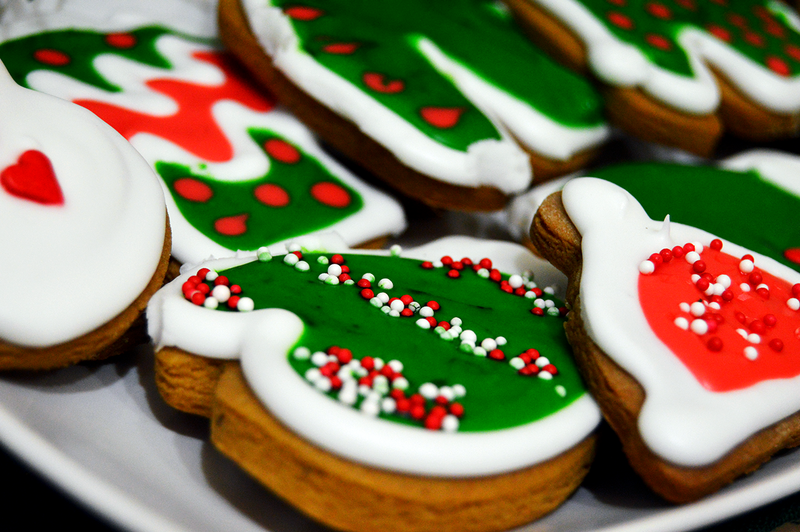 When the icing is stiff, remove about a cup of icing for making the cookie edges and put it in an icing bag. Then add a few tablespoons to the icing to thin it out. I used a flooding technique to decorate my cookies, but definitely feel free to do your thang when decorating! 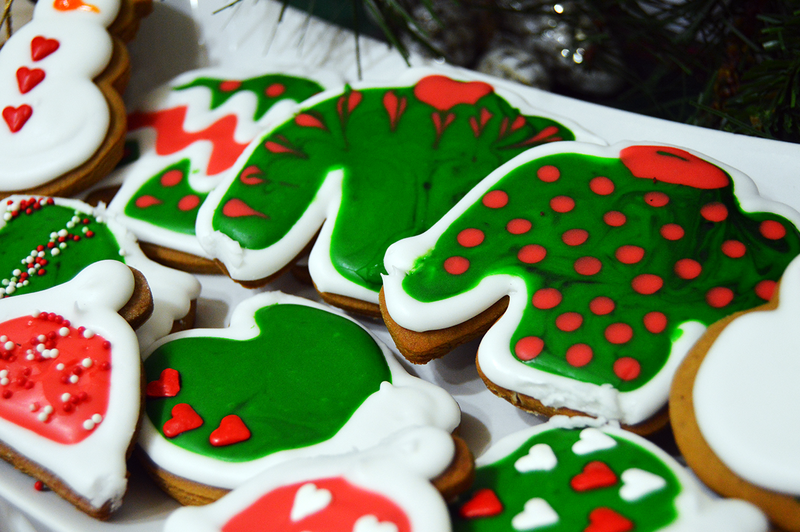 I started by outlining all of the cookies in white, then filled the centers with the appropriate colors. 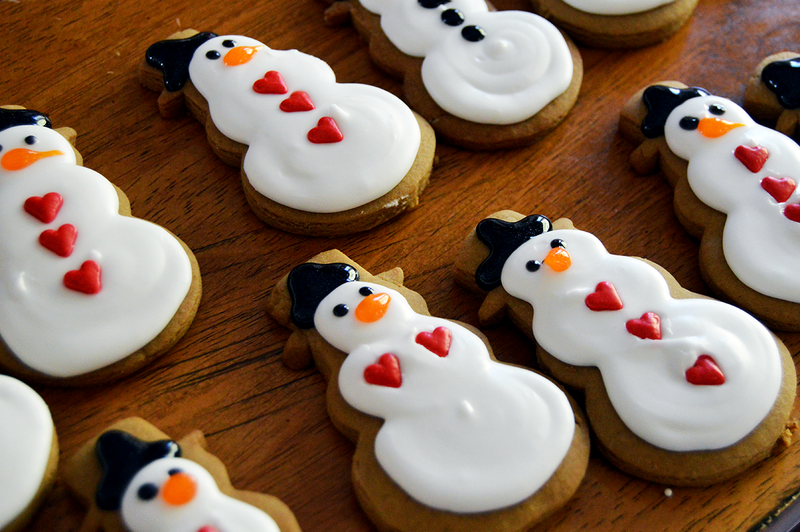 I used plain white in my snowmen, then red or green on everything else. I also made sure to grab some cute candy hearts to use as buttons on my snowmen - er...I mean, snowpeople. I decorated my cookies with sprinkles, but I know other people like to use a variety of candies when it comes to decorating gingerbread cookies. The most important part about decorating these cookies is doing it with those that you love the most - decorations are just the icing on the cookie, so to speak. Preheat oven to 350. 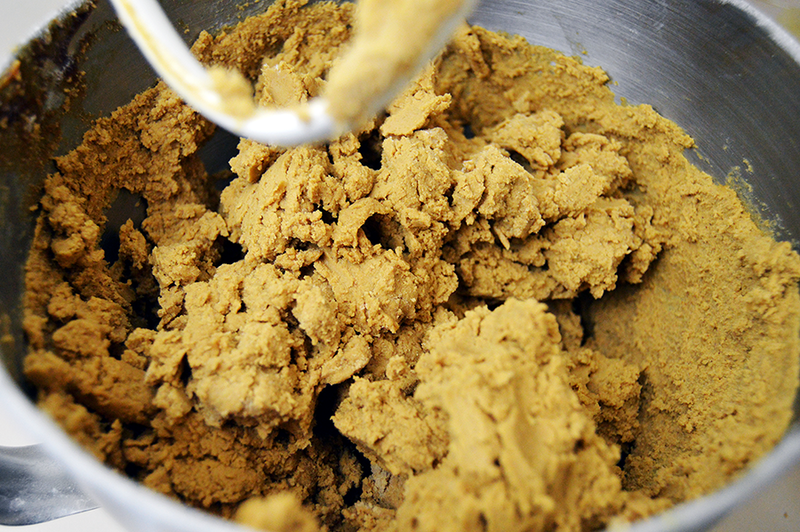 Whisk together dry cookie ingredients in one bowl minus the brown and white sugar. 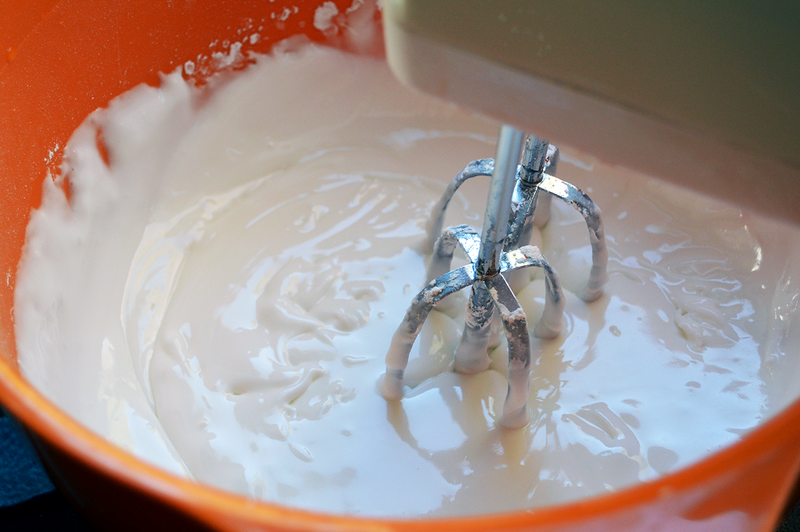 Use a stand mixer to beat together the sugars, butter until creamed together, then add the egg, vanilla, and honey. Combine the whisked dry ingredients with the creamed sugar a 1/4 cup at a time until incorporated into a smooth batter that shouldn't be too sticky to the touch. Add more flour if the dough is too sticky to work with until you can grab balls of it that don't stick to your fingers. 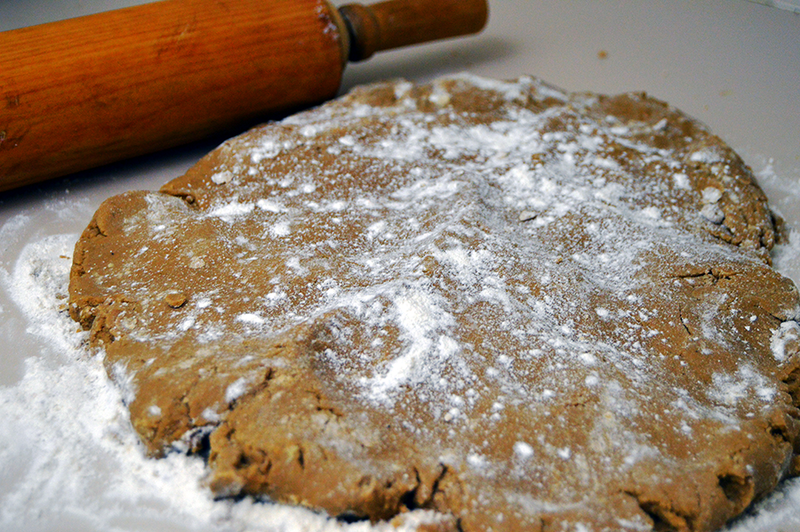 Dust a smooth surface with flour and roll out the dough to be about 1/2 to 1/4 inch thick. 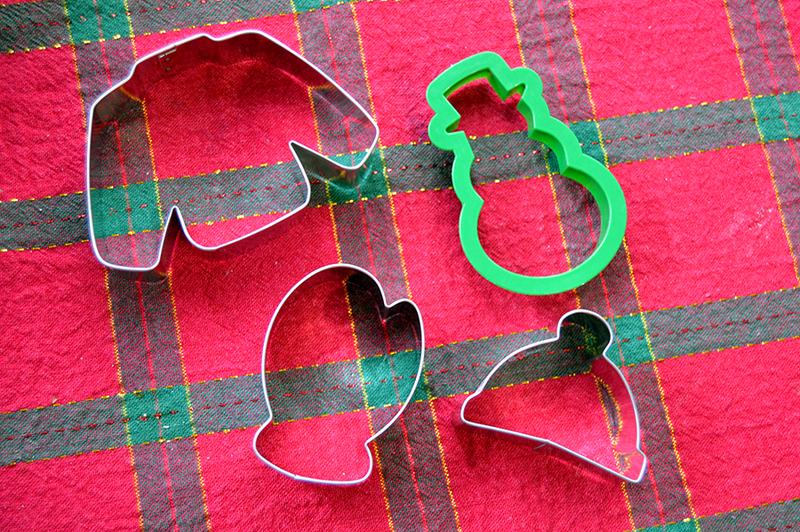 Use your favorite cookie cutter to make shapes. 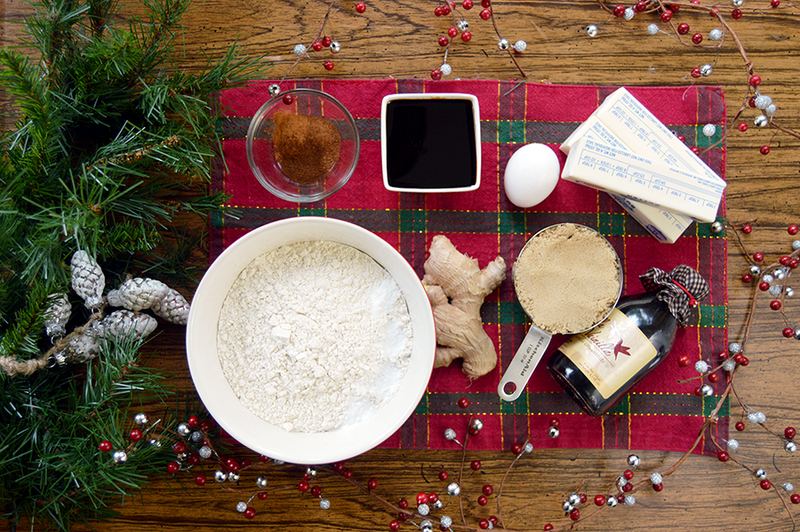 Line a baking sheet with parchment paper and arrange the cookies on the baking sheet. Bake for 10-12 minutes, or until the cookies are slightly puffed up and beginning to brown. Let the cookies rest on the baking sheet for a few minutes to completely finish cooking, then transfer the cookies to a cooling rack to cool down completely. Make the icing by whipping together all of the ingredients, adding more powdered sugar if it's too runny, and more milk if it's too dry. You want it to be just about the thickness of toothpaste, maybe a tad bit smoother. If you are going to use different colors, separate the icing into smaller bowls and color, then spoon the icing into plastic baggies and cut off just the tip of one corner to make a simple pastry bag. Doodle away! Decorate with gumdrops, cinnamon buttons, chocolate chips - whatever you desire. Serve to Santa and enjoy!